Construct a simple device using common electronic components in this three-hour introductory course. If you've ever been curious about how electronic devices work and how to get started building them, this is the course you have been looking for! 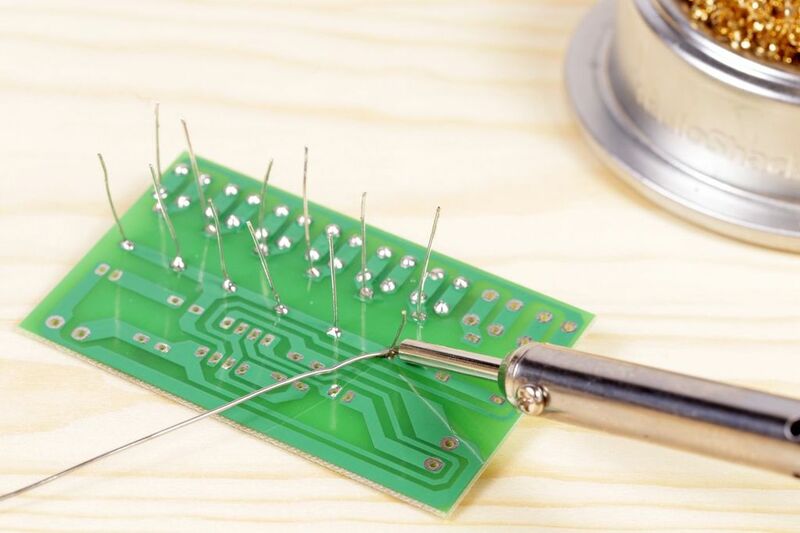 Become familiar with the basics of circuitry and electronics assembly starting with solderless breadboards and ending with a device with components soldered to a printed circuit board. Participants will get hands-on experience with soldering and desoldering techniques, and will walk out of the class with a a strong foundation for creating future electronics projects. This course also qualifies as the Electronics Zone Safety Orientation for CoG Members. Ages 14 and up. Participants under the age of 18 must bring a safety waiver completed by their parent or guardian to the class. Registration closes on April 19. The registration fee includes the $30 materials fee. Discounts will be automatically applied to current members during the registration process. Cancellations must be made a week before the class in order to be eligible for a refund.